When Pete Carroll took over the football program at USC after the 2000 season, the once-great Trojans were under siege. But thanks to Caroll's football knowledge, upbeat personality and recruiting skills, Southern Cal was soon back atop the college football world as home attendance skyrocketed. Carson Palmer, Matt Leinart and Reggie Bush won Heismans, and the Trojans put together a 34-game winning streak. As it would be later discovered, though, the program was committing sins that would result in lost scholarships, victories and one of those Heismans. But those revelations didn't come until after the national championship game in the 2006 Rose Bowl between USC and the University of Texas. Featuring interviews with Carroll, Leinart and others inside the USC program at the time, "Trojan War" looks at Carroll's nine-year USC reign through the prism of that game, considered one of the greatest in college football history. It was also the beginning of the end. Arguably, the most influential export in the world is the American Dream. The close cousin of that is the Hollywood Dream. The idea that an individual can become anything they want, someone of note, a star, if the right circumstances align. Growing up in Wyandotte County (the Kansas side of Kansas City), my college football allegiance gravitated to Los Angeles, in part, because of the Hollywood Dream. Whether it was USC's cardinal and gold colors, the football team having a black quarterback in Rodney Peete, or the fact that they provided the top film school in the country, USC intrigued me. Unfortunately, just as I became a fan of the Trojans, the football program hit a tough patch in the 1990s. But, my interest never waned due, in part, to Hollywood films like "Boyz n the Hood" and "Menace II Society," chronicling South Central Los Angeles and the private school university strangely located at its center. I arrived at USC at the same time Coach Pete Carroll did. What I remember is an electric atmosphere, an expectation that exciting things could happen at any moment, on the field as well as the sideline. It was entertaining. It was exhilarating. It was the Hollywood Dream. When I found myself blessed with the opportunity to direct a picture about the Pete Carroll era at USC, my intention was to give the viewer a slice of the feeling I had watching the Trojans. To use our narrator in a way that allows the viewer to feel like they're hearing a personal story in a barber shop, or, better yet, at a game. What became obvious, was that there are costs to achieving the Hollywood Dream, some of which the film explores. Those consequences can seem to be unforgiving. However, despite that, the ride to get there can be truly unforgettable. 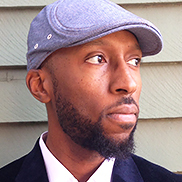 Aaron Rahsaan Thomas is an award-winning television writer and producer. An alum of the CBS Writers Mentoring Program, Thomas began his professional television career on Showtime's "Soul Food: The Series" and went on to write for the NBC drama, "Friday Night Lights," for which he received a Peabody Award in addition to being nominated for Writer's Guild and NAACP Image Awards. Thomas also has written for the CBS procedural series, "Numb3rs" and "CSI:NY." He has since performed as a co-executive producer on TNT's "SouthLAnd" and Fox's "Sleepy Hollow" and is currently a co-executive producer on a Sony/Netflix series, "The Get Down," which chronicles New York City in the late 1970s, when hip-hop was born in the Bronx, new wave was starting to blow up and disco was at its height. In addition to television writing, Thomas has directed numerous short films and had two feature screenplays produced - "Cover," directed by Bill Duke, and "Assassination Games," starring Jean Claude Van Damme. Thomas grew up in Kansas City, Kansas, writing and directing movies about class, race and gangsters from an early age. Inspired by filmmakers such as Francis Ford Coppola, John Singleton and Sergio Leone, Thomas attended USC's graduate screenwriting program. In addition to working on various projects, he is an adjunct professor in USC's School of Cinematic Arts.